So Asyraf is away. This time is longer than before. But he's being extra romantic when he's away. I hate the feeling of being alone dekat rumah. Rasa serba tak kena. I arrived home around 2 or so. I sat on the couch for about 20 mins and I was blurred. I didn't even know what to do next. And knowing the fact that I'll be alone for a week, is so heartbreaking. I hate being clingy, but that's what Asyraf taught me indirectly. I have no idea how did you guys survived long distance relationship! Suddenly I remembered that there's one day that I bought 2 meters long cloth. That was intended to jahit seluar for me. But you know, to start sewing is so hard. 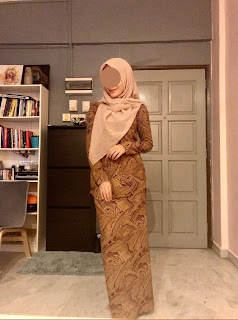 Asyraf dah banyak kali tanya, bila nak start? Apa lagi barang tak ada? Well he bought me a new sewing machine (Brother JA1400). The best part is, this sewing machine can seam the edge. So I don't have to hantar kedai untuk jahit tepi. Yeay!! Then I took the cloth, started to cut. But not to turn it out to a pants but a blouse. So it took me around 4 hours untuk siapkan sehelai blouse (From scratch). I'm impressed. So now that I have the semangat untuk menjahit, then I need more cloth. I had to cover my face, I'm having an allergy medication. My eyes are swollen like a goldfish! I'm sooooo happy. Asyraf too!! I posted this on my ig story and thank you for the positive feedback received. But some of my friends were asking me to ambil upah menjahit. Even Asyraf is suggesting me to do so. It makes a lot of money actually. Maybe not for now. 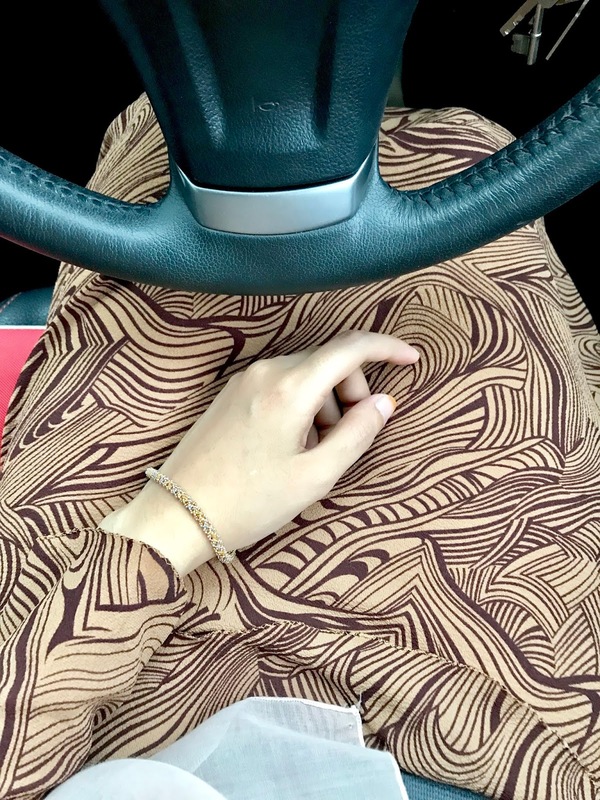 InsyAllah in future :) So last night I terus basuh that baju and today I'm feeling extra energetic going to work sebab dapat pakai baju baru! 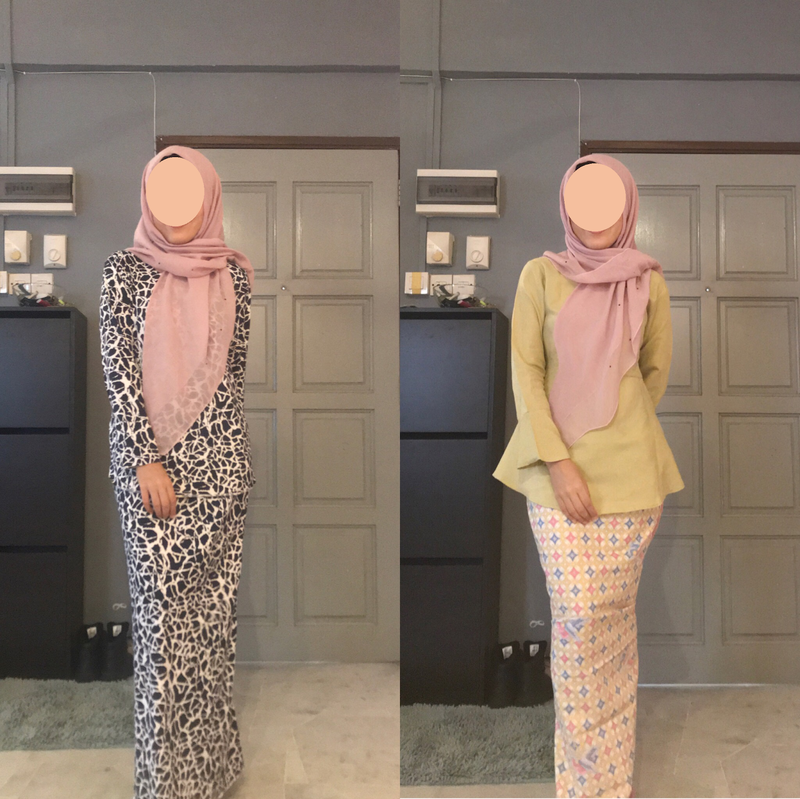 I have another mini kurung coming!